The Freelancer Android App version 3.0 is now available. This latest version brings an improved experience in posting projects, finding work, and collaborating with other users. One of the most significant changes brought to the app is its sleek design that made it look more refined than ever. It flaunts more polished page designs that harmonize with the enhanced user experience. A redesigned signup/login page welcomes users who have updated the app to its latest version. Samples of awesome projects done on Freelancer.com are featured on the welcome screen. It’s like giving you the inspiration for your next project as soon as you open the app. You will no longer see the dashboard and the sidebar tab in this version. Instead, there is now a bottom tab navigation where you can access your messages, browse projects and freelancers, post a project, check your notifications, and view your active projects. With this, you can now switch from one page to another effortlessly. With the app’s Messenger, you’ll have a more convenient collaboration even while on the go. Contact your employer or freelancer using the mobile app. Send and receive files. Get updates or feedback as you bring the project to its fantastic completion. Have a seamless chat experience with the Messenger’s new user interface. The simpler and cleaner view of the Browse page lets you find projects or freelancers easier. You can search from the recommended list or browse by category. If this doesn’t find what you want, search by skill in the search bar. Posting a project is now easier than ever. The new design of the page provides a step-by-step interface to help you have a smooth experience in posting your project. The new My Projects page shows your active projects. Tap a particular project to view more details. It’s now simpler than ever to see which projects and contests you have running, instead of navigating through multi-layered menus to find your active projects. To go to your Profile page, click the Settings icon in the top right corner of the My Projects tab, and under the Account Settings, tap Profile. The Profile page received a lovely update. You can also edit your details easily and update your profile picture and cover image to show your personality. Being on a Membership plan lets you maximize the Freelancer experience. 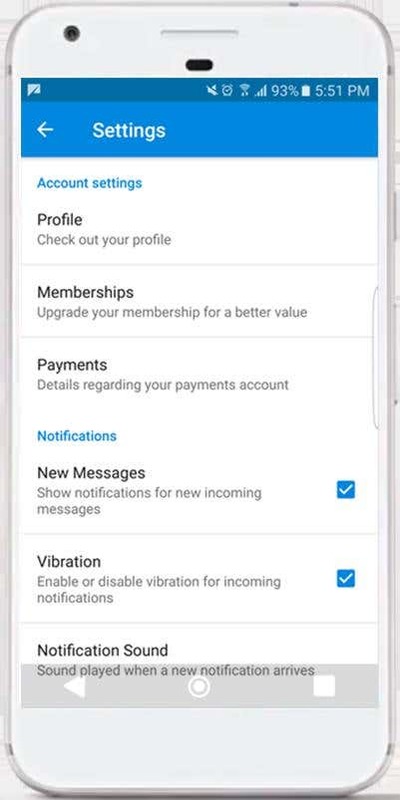 You can access Memberships, as well as Payments, through your profile page. Get the best of Freelancer.com on your mobile phone. 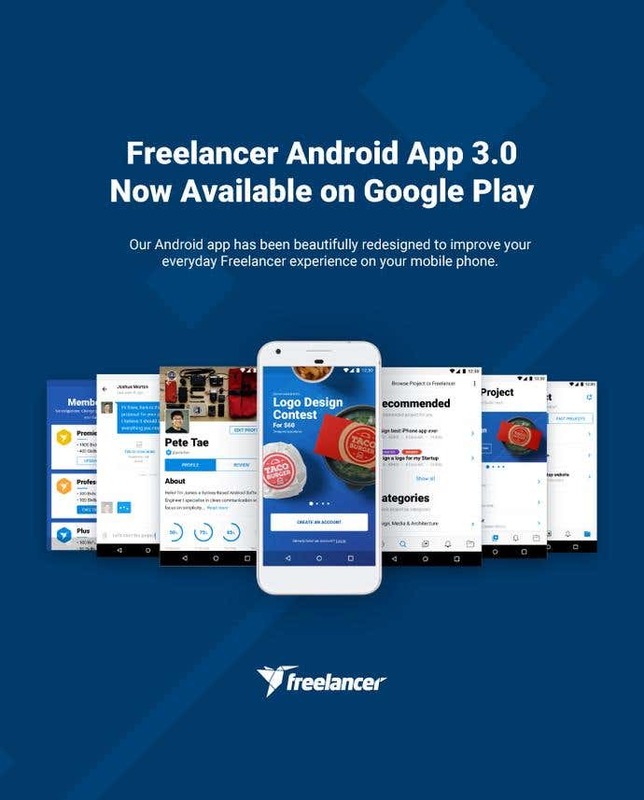 Download the Freelancer Android App 3.0 now!